Senator Tammy Duckworth on Capitol Hill in Washington last month. “Parenthood isn’t just a women’s issue, it’s an economic issue and one that affects all parents — men and women alike,” she said. 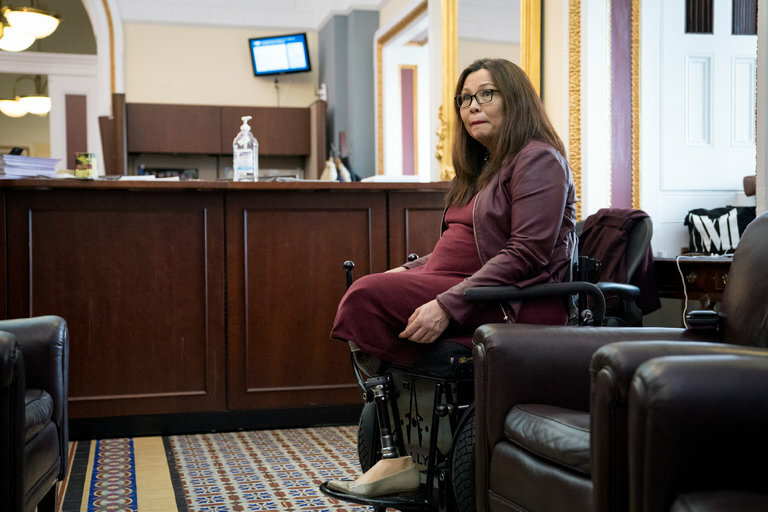 Senator Tammy Duckworth, a Democrat of Illinois, gave birth to a daughter, Maile Pearl Bowlsbey, on Monday, making her the first United States senator to give birth while in office, she said in a statement. “We’re also so grateful for the love and support of our friends and family, as well as our wonderful medical teams for everything they’ve done to help us in our decades-long journey to complete our family,” she said in a statement. She said former Senator Daniel K. Akaka, a Democrat from Hawaii, “was able to bless her name for us” before his death last week. “His help in naming both of our daughters means he will always be with us,” she said. Maile is also named for Pearl Bowlsbey Johnson, who was Mr. Bowlsbey’s great-aunt and an Army officer who served in World War II, Ms. Duckworth said. Ms. Duckworth, 50, was already one of 10 women who had given birth while serving in Congress, having had Abigail in November 2014 as a member of the House of Representatives. But Maile’s arrival made her the first sitting United States senator to give birth.